In his acceptance speech at the Jameson Empire Awards, Aidan thanks the fans saying he had no idea there was that sort of support out there and that it's exciting and deeply humbling. Click on the link below to watch the speech. Congratulations Aidan! 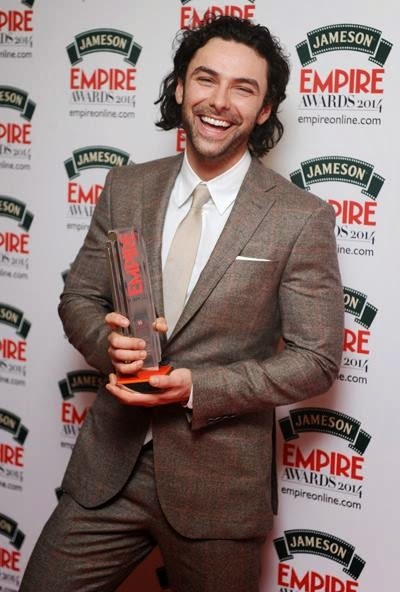 Aidan Turner has just won Best Male Newcomer at the Jameson Empire Awards (30 March, 2014). 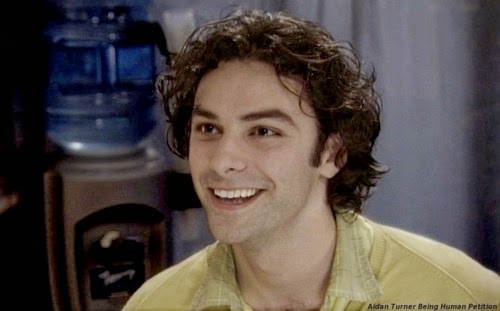 And just look how happy Aidan is! After the rumours of the past few days we now have confirmation that Demelza will, indeed, be played by Eleanor Tomlinson. Eleanor has recently been seen on TV playing Georgiana Darcy in Death Comes to Pemberley and Isabel Neville in The White Queen. Eleanor told the Mail on Sunday, ‘I will do my utmost to do justice to the spirit of Demelza. She’s such an iconic character, who was so brilliantly played by Angharad, and I will do my very best to try not to disappoint the army of Poldark fans out there. Executive Producer Damien Timmer said, ‘Demelza is the heart of the story and it is a real coup that she will be played by Eleanor. Two other cast members have also been announced. 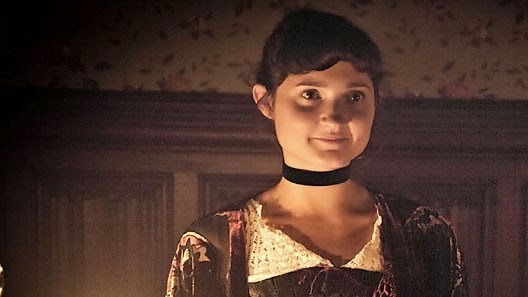 Ruby Bentall will play Poldark’s cousin Verity. Ruby played Pauline in The Paradise and has also recently appeared in Blandings which, like Poldark, is produced by Mammoth Screen. The Icelandic actress Heida Reed will play Elizabeth, Poldark's fiancee. Heida is perhaps less well known although she did appear recently in Silent Witness. In the BBC Media Centre press release Heida said, "I am extremely flattered and excited to be part of such a wonderful new BBC period drama. Elizabeth is such an intelligent and elegant character and a dream role." Damien Timmer said, ‘We looked at many actresses but Ruby and Heida stood apart. Heida plays Elizabeth, who left Poldark for his cousin. It’s a complex, difficult role and there is something incredibly likeable and sympathetic about her. Production company Mammoth Screen have said that there will be an official announcement of the cast of Poldark next week, according to a tweet by @WinstonGAuthor. 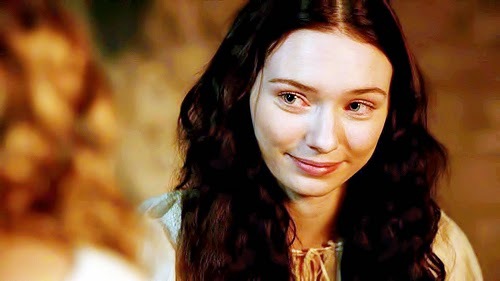 Earlier today it was rumoured by Screen Terrier that actor Eleanor Tomlinson had been given the role of Demelza. Eleanor has recently been on our TV screens as Georgiana Darcy in Death Comes to Pemberley and as Isabel Neville in The White Queen. Eleanor certainly fits the bill of being "stunningly beautiful". I can't wait to find out if the rumour is true! 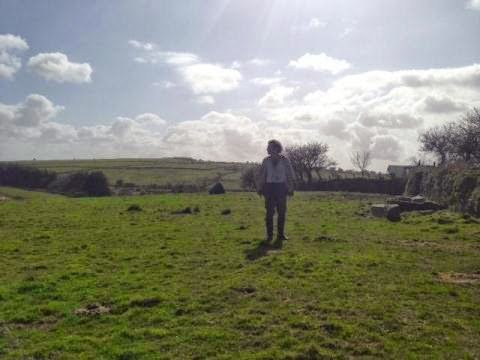 Aidan Turner has begun shooting the new BBC drama Poldark in Cornwall today (25 March). He has been filming some winter footage ahead of the main shoot, according to the production company Mammoth Screen. Earlier today Mammoth Screen tweeted #AidanTurner he's at Nampara NOW! 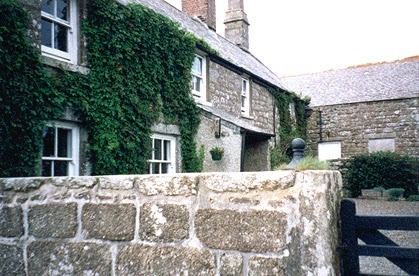 In the original TV series Botallack Manor Farm (pictured) was used as Nampara, Ross Poldark's home. The location for the new series has yet to be revealed. The main shoot for Poldark starts on 14 April, 2014. It will be aired on the BBC in 2015. Shooting on Poldark starts on 14 April, but behind the scenes people have been busy working on the project for several months. Two such people are the Production Designer and Art Director. Production Designer Catrin Meredydd started working on Poldark back in December.The Production Designer is responsible for the entire Art Department and is crucial for realising the Director's vision by providing believable surroundings in which the story can be told. Recently, Catrin has been the Production Designer for Broadchurch as well as The Fades and the Kenny Everett biopic Best Possible Taste. Art Director Beckie Harvey, who started working on Poldark in January, has been Art Director for Holby City, Derek and Monroe. The Art Director works out all the props needed for the shoot and commissions any special effects and props like horse-drawn carriages. She also organises the casting of all the animals - that'll include Garrick then. Prior to Poldark Catrin and Beckie worked together on From Here to There, the highly anticipated BBC drama set in Manchester in 1996. Poldark writer Debbie Horsfield is doing a monthly Question and Answer session for fans of the show with Winston Graham - Author of Poldark. This will give YOU the chance to ask her what's on your mind. In the first Q&A Debbie talks about when they'll know if they can dramatise more books, why the differing reports of six or eight episodes and, of course, Aidan Turner. Here's what Debbie has to say when asked about screen-testing Aidan. We didn't screen-test anyone else. I normally don't think about casting while I'm writing the scripts but it became clear to me during the middle of last year that we would need someone pretty spectacular to take on the role of Ross. Someone who could convey the complexity of the part, look the part, be young enough to play a man in his early twenties but who could, if all went well and we were fortunate enough to be able to do all 12 books, convincingly play the Ross of later years. Who had the ability, the charisma, the look (I was struck by Winston Graham's description of Ross's 'unusual face with its strongly set cheekbones, wide mouth and large strong white teeth'!) to take on such a formidable task? I had a short-list of one. Mammoth Managing Director Damien Timmer had had exactly the same thought. We didn't screen test Aidan. We knew his work. We knew he was perfect. We sent him the scripts. He loved them. There was never anyone else in the frame. And do send in your questions ready for next time. Now, what shall I ask...? 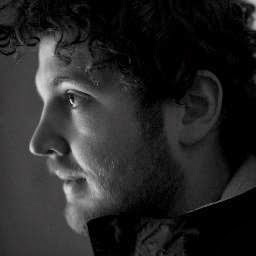 William McGregor is to direct the new BBC series of Poldark! @WillieMcGregor @Poldarked very exciting! I love the scripts. William will be directing the Poldark episodes five to eight and says he has, "four very good scripts". As previously announced, Ed Bazalgette (The Guilty, Endeavour) is directing the first four episodes. William is a talented, award-winning director. He is the youngest ever director of the cult TV show Misfits - even now only being in his mid-twenties. William's first feature film is currently in development. It's called The Rising and is set in the industrial revolution. With his visually exciting style, William also directs trailers and commercials for the Oscar and BAFTA award winning visual effects company, The Mill. In the video below William talks about what inspires him, the secret of his success and says how he wants to make things, "that are important to me". Oh - and he has a rather disarming smile! Fidgit with William Mcgregor from Fidgit Box on Vimeo. 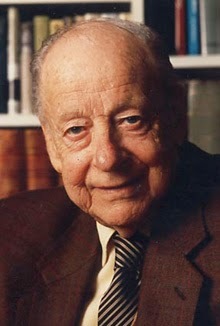 Every weekday next week BBC Radio 4 Extra will be broadcasting a short story from Poldark author Winston Graham. On Thursday there will be an extract from the first Poldark novel and on Friday Graham imagines what it would be like to meet Demelza. The extracts will be read by Nicholas Farrell and Ewan Bailey. Winston Graham Short Stories will be on BBC Radio 4 Extra Monday 24 to Friday 28 March, 2014 at 11a.m. It seems all is not happy in the Poldark Appreciation Society. Val Adams, founder of the Society, told The Cornishman that fans of Poldark - "at least 85 percent of them"- are not pleased that Aidan Turner has been cast in the leading role in the new BBC TV series. Val said, "He looks as though he's just finished college and nothing like a soldier returning from war-torn America. I've got a great imagination but it doesn't stretch that far. “It goes without saying that any actor would have a hard task following Robin Ellis' interpretation of Ross but an older and a more masculine actor would have stood a better chance. A lamb to the slaughter comes to mind." 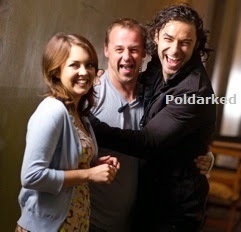 @CornishmanPaper Tell Val that 100% of Aidan Turner's many, many fans are thrilled to bits! 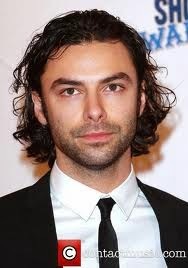 @mammothscreen @Poldarked as Winston Graham's granddaughter, I think Aidan will make a fabulous Ross! The odd thing is, the Society are unhappy with Aidan because of his age: yet Aidan is 30 years old, much the same as Robin Ellis was when he took on the role. 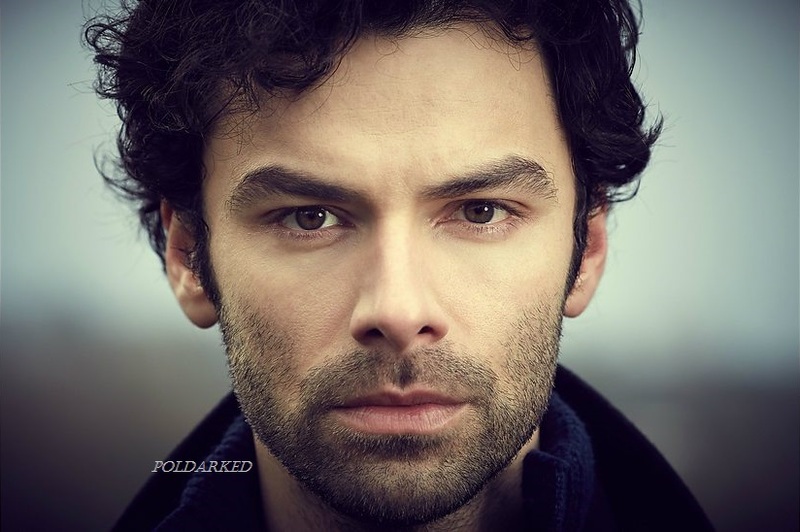 And Poldark is in his early twenties when he returns to Cornwall from the war, so Aidan seems hunky dory to me. Perhaps it would help the Society to listen to the writer of the new series, Debbie Horsfield, who says that one reason Aidan was perfect for the role was that, should they be lucky enough to adapt all twelve Poldark books, Aidan is an actor who can age successfully with the role. Of course, fans of Aidan's are well aware that, in the film The Mortal Instruments: City of Bones Aidan played a 37 year old - no problem! 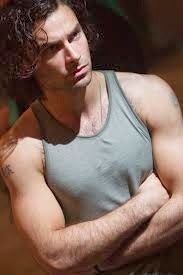 As for Aidan not being masculine enough - really? However, the most telling part of Val's comment is when she says, "I am sure he is a great actor, although most had never heard of him...". Would it really have been that much trouble to have found out a little about Aidan before judging him so thoroughly? He is quite a private person who is interested in being an actor rather than a "celebrity" so chances are, if they haven't seen any of his work, they won't have heard of him. But they might at least have tried. I do, however, understand how painful it may be to have a TV show you've loved, be remade. But then, if a story is so good, why not let a new generation enjoy it in their own way? Finally, to the 15% of the Poldark Appreciation Society members who are waiting to see the new drama before they pass judgement, well done. I salute you! Upadted 17 March, 2014: Production company Mammoth Screen yesterday confirmed in a tweet that they are still casting. "Demelza is STUNNINGLY BEAUTIFUL. Good physique...It is the most amazing role and challenge for any young actress and obviously we are looking for outstanding star talent." In many ways the success of Poldark rests on the casting of the lead roles and the chemistry between Ross Poldark (Aidan Turner) and Demelza. If you have watched Aidan in Being Human you will know how the screen fair sizzles in his scenes with Lauren (Annabel Scholey). That level of chemistry would be perfect for Poldark. Casting for Poldark is in the good hands of Susie Parriss. Susie has the casting of dramas such as Endeavour, Lewis, Poirot, Agatha Christie's Marple, and, a particular favourite of mine, Hornblower, to her credit. Filming for Poldark runs from 14 April to the end of August, 2014. 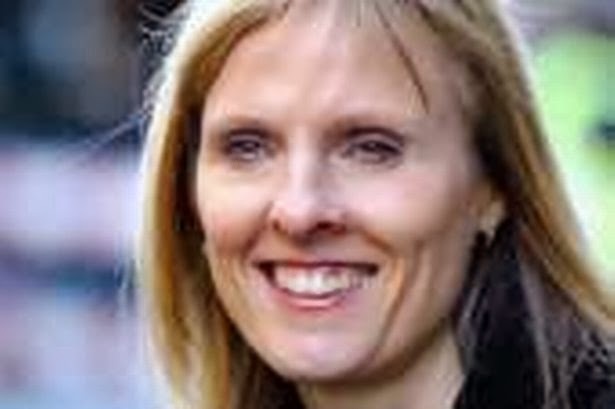 Debbie Horsfield is the writer of the new series of Poldark. As a writer and producer her credits include Cutting It and All the Small Things. In this interview with Radio Cornwall she talks about what a challenge and privilege it is to be asked to write the script, how the new series will follow the books closely and be a traditional interpretation rather than a Sherlock-like update and why Aidan Turner is the only man for the job. 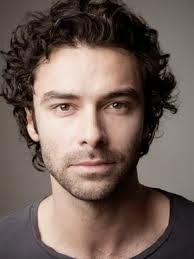 Aidan Turner is Ross Poldark in the new BBC TV series. Aidan is known to many as Kili the dwarf in The Hobbit film trilogy and as Mitchell the vampire in the cult BBC TV drama Being Human. 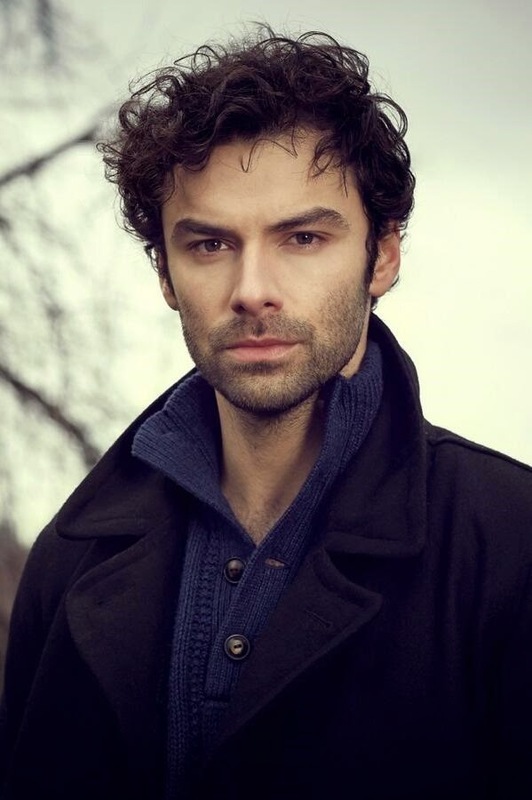 As Mitchell, Aidan plays a complex character who becomes more dark and brooding as the series progresses and it's good to see Aidan being cast as a character with many facets to his personality again. In an interview back in December with SBTN Aidan said he was doing, "something -erm - a TV series in March" and fans, who have missed seeing him on their TV screens these last three years, will be delighted that it turns out to be the lead in such an iconic drama. Poldark is set in Cornwall in the late eighteenth century, where battle scarred Ross Poldark returns home from war to find his country facing hard times and the life he once knew, gone forever. 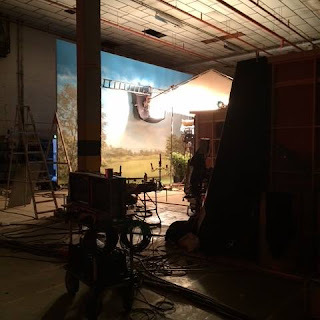 Ross is a character full of contradictions and, according to Damien Timmer, Executive Producer for Mammoth Screen, there was only one person for the part. Damien says, "Ross Poldark is an iconic role - we needed an actor with the right combination of striking looks, youthful rebelliousness, emotional complexity and maturity of presence which hints at the man he becomes across the saga. In our minds there was only one candidate. Happily he said yes!" 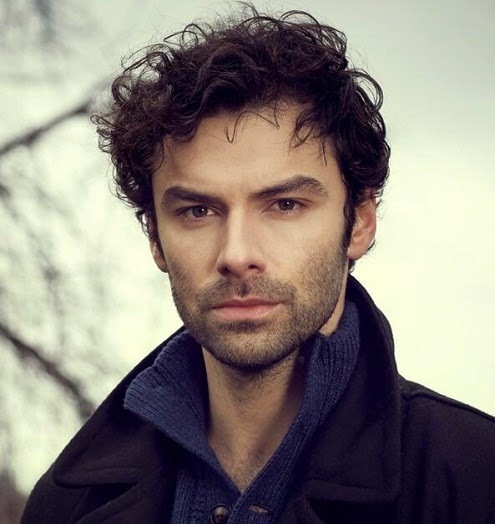 Aidan says, "I'm very excited to play Ross Poldark for the BBC and it's obviously a huge challenge to honour the extraordinary character Winston Graham created and who Debbie Horsfield has brought new life to. But there's a terrific team coming together and the scripts are superb, so I can't wait to get started." Poldark is produced by Mammoth Screen. Filming begins in mid-April and will be based in Cornwall and Bristol. Poldark is expected to air on BBC TV next year in eight one-hour episodes. Some nice Poldark trivia here: Producers Mammoth Screen have just told us that the publicity pics of #AidanTurner, used to announce his role as Ross, were taken on Hampstead Heath near Kenwood House.